Undertaken activities on Rainwater Harvesting. Providing education to school children on managing household solid waste through Vermicompost process. Plantation in Govt. Schools & in nearby villages. 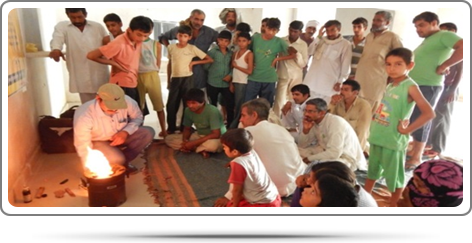 Making available eco friendly, energy saving cooking stoves in subsidized rate to villagers in and around our Jhajjar Plant location replacing traditional health hazard, mouth blowing chulhas.